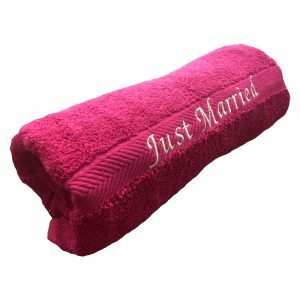 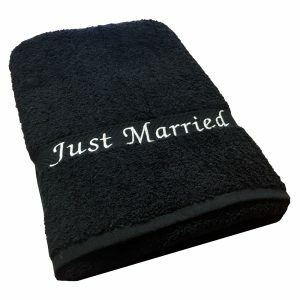 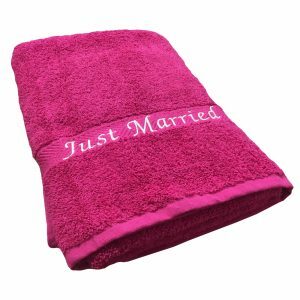 Just Married Towels now only £14.99 each. 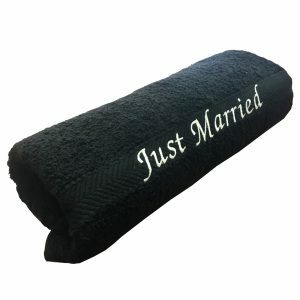 These towels are perfect for your honeymoon, for on the beach or by the pool. 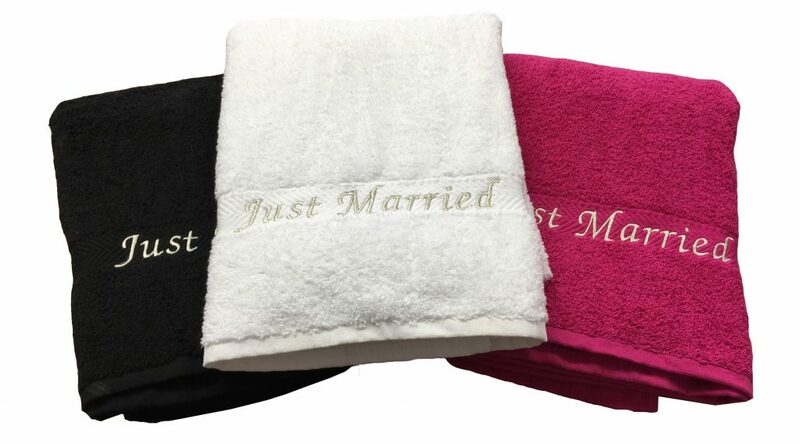 Available in a choice of 3 great colours, Black, White & Fuchsia. 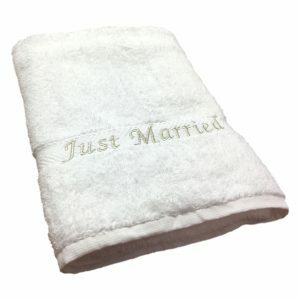 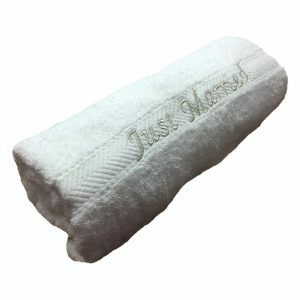 Towels come embroidered with the words ‘Just Married’ in a silver thread so it stands out brilliantly.